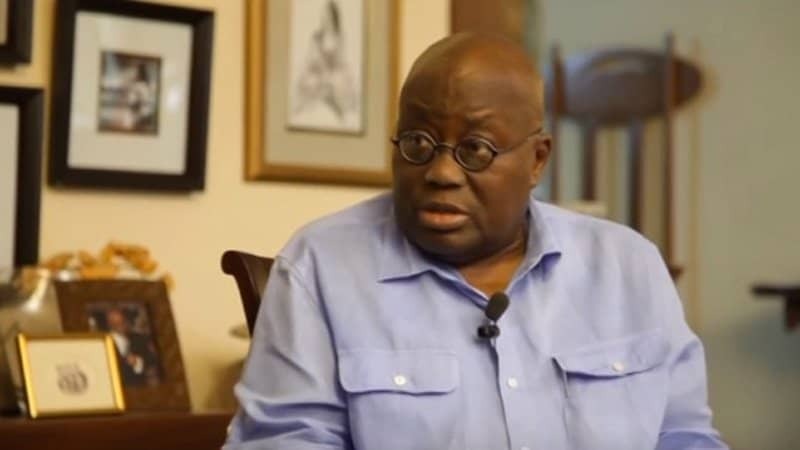 In an interview on the “State of the Nation” program on e.tv Ghana, Rebecca Akufo-Addo, the wife of Nana Akufo-Addo, told Kwame Gyan that she believes that her husband could win the country’s presidential election. She described her husband as a family man and a good politician who wants to work hard for his country. Akufo-Addo recently described Ghana as being a “troubled country in crisis.” He also issued concerns of mismanagement and incompetence from the current government. He cited both a failing healthcare system and struggling agriculture and manufacturing sectors as proof of the current administration’s failings. Akufo-Addo is the former Attorney General and a big time real estate developer. He is a major political donor. He is also the flag-bearer of Ghana’s opposition party, the New Patriotic Party. He has two presidential runs under his belt. He ran in the 2012 election against current president John Mahama. He won 47.74% of the vote. However, it was not enough to unseat Mahama, the incumbent candidate who received 50.7% of the vote. He also ran in the 2008 election; but he lost the general election by one point. He accepted the loss without question. The 2016 presidential elections and parliamentary elections in Ghana are scheduled for November 7. In previous years, elections took place on December 7. The new date is part of recent proposals for electoral reforms in the country. The early voting date gives the government room to hold a run-off election in the event that no candidate wins the majority vote. It also creates more time for the government to prepare for a handover in the event that the incumbent loses the election. Nana’s wife said she believes that her husband will finally win the nation’s top job. But she expressed concerns about Ghana’s political climate. She told the interviewer that negative talk about her husband might keep him out of office. Regardless, Ghana is considered to be Africa’s most stable democracy. It is also one of the continent’s most promising up-and-coming economic markets. Whoever wins in November, voters in Ghana can be certain that the next president will arrive in the capital in a fair and democratic manner.